The HCT Debates provide a venue for exchange of ideas and arguments. External speakers are invited every week to present and engage with tutors and students. The aim is to position the multiple voices making possible a process of thinking in common, by definition a pedagogical practice different from the seminar or the lecture. The sessions are open to the public. From the early twentieth century the avant-garde forms an important cultural and interdisciplinary sub-system with a strong impact on architecture. However, it is only in the sixties that the term ‘avant-garde’ starts describing architects, groups, and material and immaterial productions of the latter – associated, but also not, with the wide cultural avant-garde circles of their time. The sixties mark the period when the term enters into architectural history books and writings of theory and criticism. A disciplinary consciousness of the avant-garde is now manifest along with avant-garde’s appropriation as endogenous architectural quality. A terminological approach to the avant-garde of the sixties provides tools for detecting patterns of formation and ideological constructions, and for uncovering how these may even shape avant-garde’s understanding up to the present. 1.Bürger, Peter, Theorie der Avantgarde (Frankfurt am Main: Suhrkamp Verlag, 1974) English translation: Bürger, Peter, Theory of the Avant-Garde (Manchester; Minneapolis: Manchester University Press; University of Minnesota Press, 1984). 2.Poggioli, Renato, Teoria dell’arte d’avanguardia (Bologna: Società editrice il Mulino, 1962). 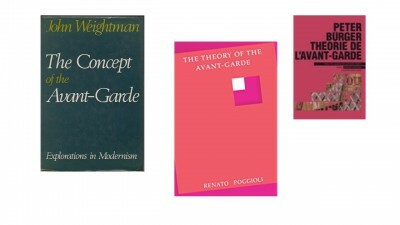 English translation: Poggioli, Renato, The Theory of the Avant-Garde, trans. by Gerald Fitzgerald (Cambridge, Mass., London: Belknap Press of Harvard University Press, 1968). Lina Stergiou is Associate Professor of Architecture at Xi’an Jiaotong-Liverpool University, China, co-founder and creative director of 4Life Strategies, a non-profit organization for strategically design cross-disciplinary actions for life as agencies for change, and principal of LS/Architecture&Strategies, an award-winning design research lab. Independent Expert for the Mies van der Rohe Award-European Union Prize for Contemporary Architecture. A Princeton University Research Fellow and recipient of numerous research grants, her research explores spatial politics and the avant-garde, including her forthcoming book on The Concept of the Avant-Garde in Twentieth and Twenty-First Century Architecture.